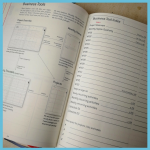 I thought we would jump into the first planning pages of the business planner. I like to start with planning out my year using the yearly overview. I feel more prepared to face the year when I’ve filled out these pages. 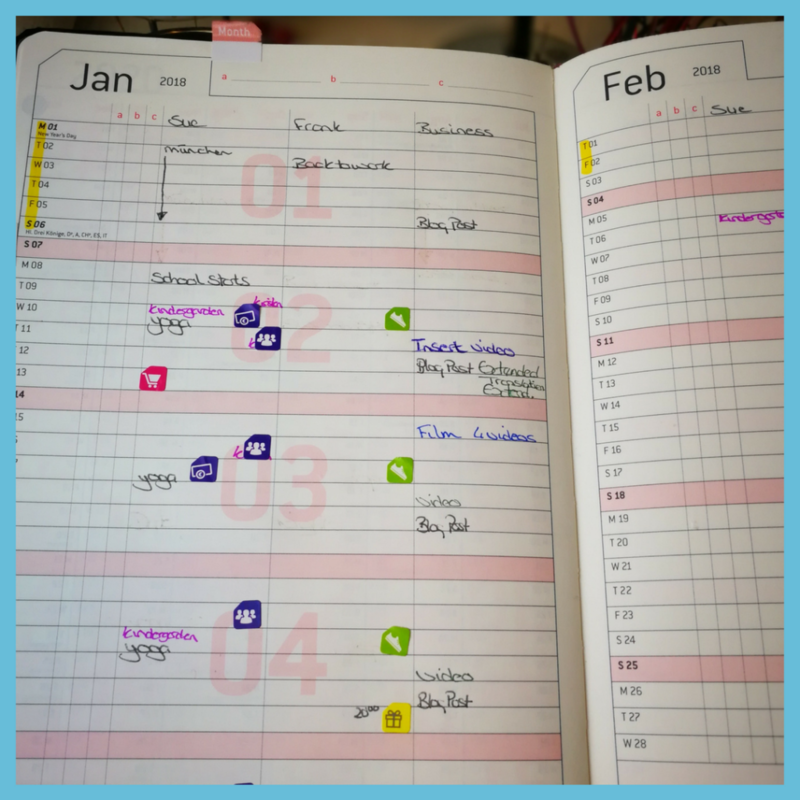 What I love to do is have my essential dates laid out before me at a glance. This way I know when birthdays, anniversaries holidays are or when I’m taking a business trip. I can see if I have a big wedding to go to or to plan for, things like buying the dress, saving up money for the hotel booking a train ticket if it’s out of town and so on. 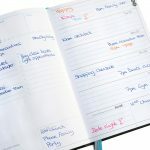 It’s also perfect to have if you are planning out a product, launch dates, delivery dates and so on. 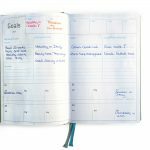 Let’s jump into the yearly, monthly planning pages. 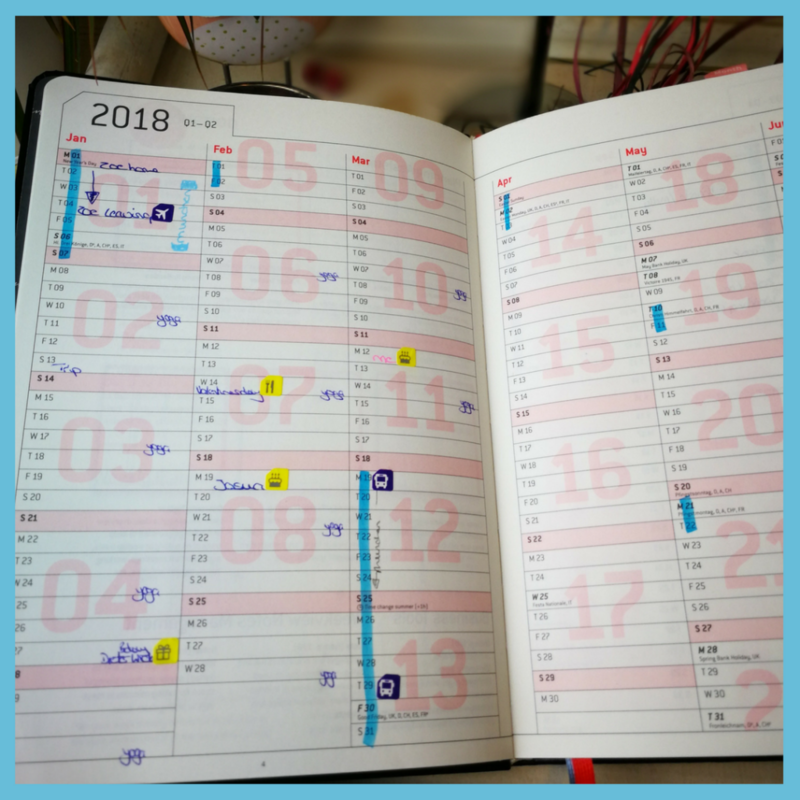 2018 yearly overview is divided up into 4 pages; each quarter is on one page (3 months on a page). The years 2019, 2020 have 2 pages, 6 months on each page. 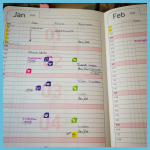 I use the yearly pages to highlight school holidays so that I can plan my trips, like a trip to Munich to visit HQ and the team members. Or plan my holiday with hubby. Back in the day, when my kids were still home, I marked the holidays so I knew when the kids would be going to their father or Grandparents. So you could use this to plan out child care. Like I’ve said above, I also write down peoples birthdays and anniversaries of my most important people, so I don’t forget them. 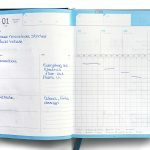 Want to see your mood swings for the whole year? 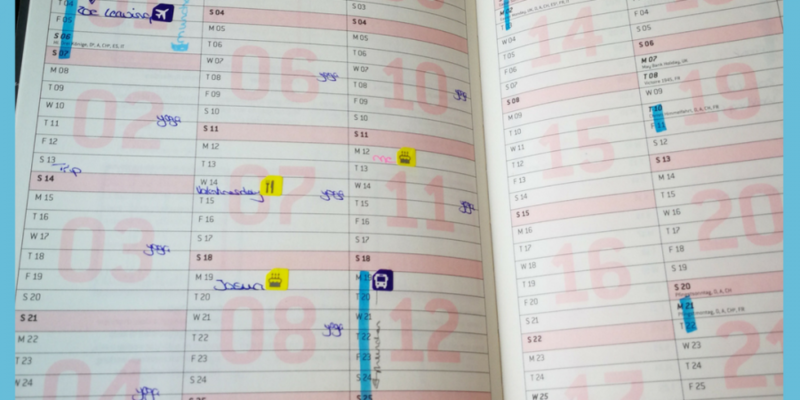 Colour code your moods (happy, sad, excited, huuh,) then mark them on the yearly pages. Could come in handy, (no idea what for right now, if you have an idea then leave your comment below). I like to write down activities that I have. Like yoga is every Wednesday at the same time, up until the holidays and then I have to sign up again. I like to have this written down even though I know that I have yoga then and have had this time blocked off for 3 years now, other family members might forget this fact. So if they look into my planner, they know where I am. Also if I’m out and about and someone wants an appointment with me, I can show them that I really don’t have time on a Wednesday. The cool thing about these monthly pages is that you can add in your work schedule and what shift you have into the a,b,c columns. In January you can add your key at the top of the page, so you don’t forget what they mean as the year progresses. Please remember that these are only my suggestions, these pages can be used any way you like. 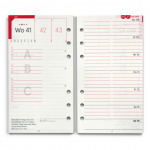 To help others find different ways to plan, please leave a comment below telling us how you would use these pages.